Spirits communicate with us every day, especially the spirits of our loved ones - but are you tuning in to them? 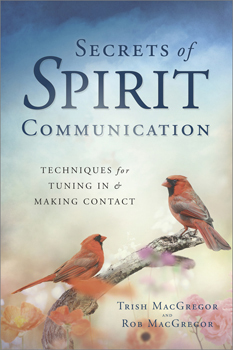 Secrets of Spirit Communication is your go-to guide for identifying and interpreting the signs, symbols, and synchronicities around you. Whether it's an object, sound, scent, dream, pattern, or number, this book will help you understand what it means and how you can respond. Secrets of Spirit Communication provides many resources and techniques that help you raise your awareness of spirits and effectively communicate with them. You'll learn about journaling, meditation, power animals, how to use altered states, and the five main methods to fully engage with spirit: awareness and recognition, intention, summoning through desire, requesting, and incubation.